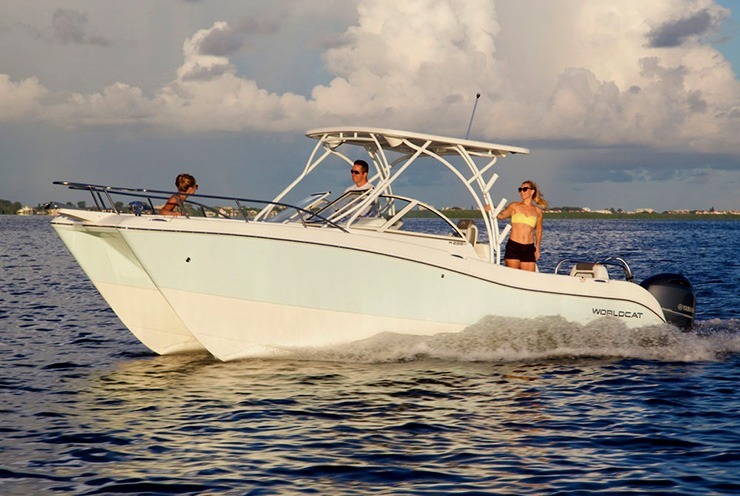 Built for comfort, speed, and stability, Lil Blue, our brand new 25 foot World Cat power catamaran, accommodates up to 8 guests. 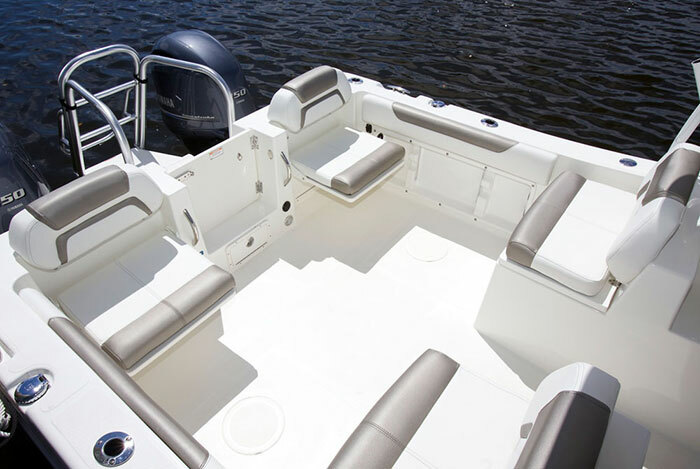 This nimble go anywhere, do anything boat is perfect for a day of adventure. 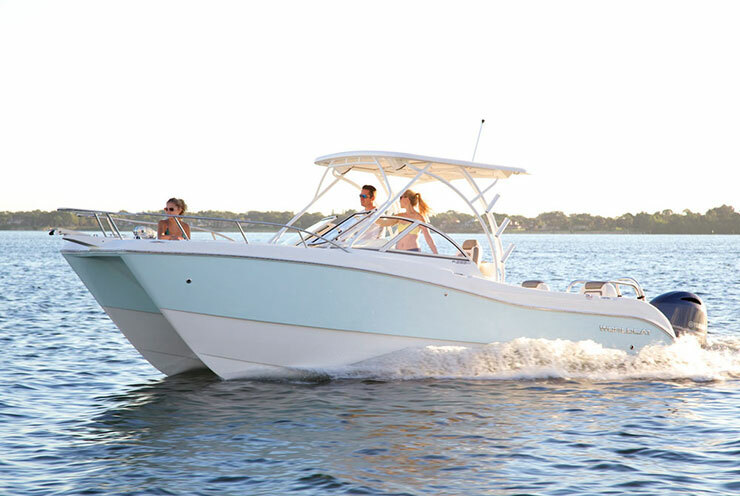 Built for comfort and stability, Lil Blue, our brand new 25 foot World Cat power catamaran is the perfect small group adventure boat. 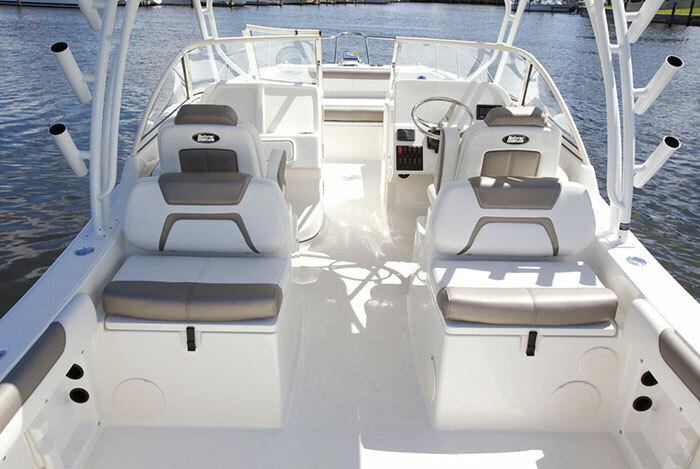 A builder of the finest power catamarans, World Cat, combines new age engineering with old age craftsmanship for truly outstanding boats. 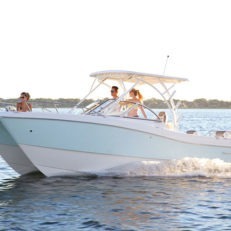 A spacious and versatile boat, Lil Blue delivers a smooth, exciting ride but is nimble enough to slip into the special fun spots. 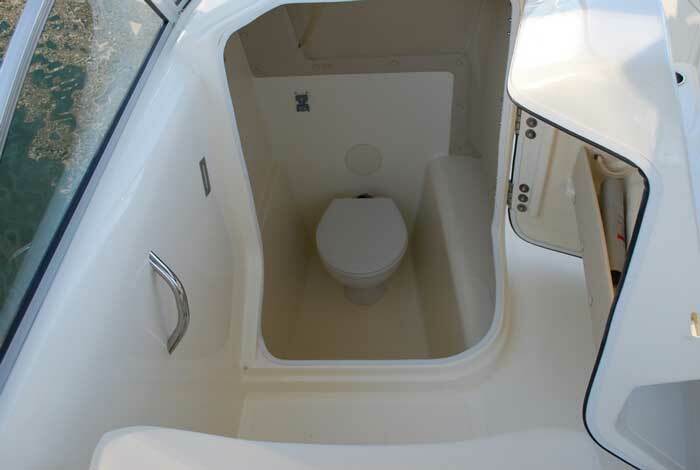 Enjoy the convenience of full-length lounge seats on the bow, onboard changing room/toilet, fresh water shower, and Fusion Bluetooth entertainment system. The extended swim platform features solid grip handrails and heavy-duty ladder. And when you want a break from the sun, the hard top and extendable canvas sunshade provide plenty of shade. Accommodating up to eight guests, Lil Blue has seating for up to six guests on the uncovered sun deck and up to five under the shade. Lil Blue is equipped with snorkel gear including vests and spare towels if needed, plus a cooler with ice, bottled water, and juice. And of course, squid to feed the stingrays. You are welcome to bring any additional beverages or food aboard as you wish preferably in non-glass containers. Are you ready for sea, sun and fun with Crazy Crab? Browse our website exploring the fun experiences you can enjoy with Crazy Crab and think about what you’d like for your personalized adventure. Choose how many hours you would like for your adventure. Use the Adventure Planner to help you decide how many hours you need for all the fun experiences you want to enjoy. Ready for easy online booking? Check our live availability to choose your dates, confirm with secure online payment with any major credit card and receive instant confirmation of your booking. Turn up for your Crazy Crab adventure with sunscreen and a smile. We’re the proud recipient of the TripAdvisor Certificate of Excellence which is awarded to companies that consistently earn great reviews from travelers. What a fantastic week we had in the Cayman Islands - and ending it with Mark & Canyon was the icing on the cake! They were the perfect boat hosts & taught us lots about their beautiful island. We can not wait until our next trip to book another day with them. Working with Troy was easy and he was great at communicating-we had to change excursion due to weather & they were super accommodating... until next time!! Troy, I just wanted to let you know that our experience was marvelous! It was an extraordinary adventure ... an experience I will never forget. We all got to kiss a stingray for good luck. We even had the pleasure of meeting a special black stingray named Frisbee. The experience of interacting with those amazing animals in their natural habitat is awe inspiring. Our four hour boat charter with Crazy Crab was amazing, even at a relaxed pace, we saw and did so much. Crazy Crab was super knowledgeable and they did a great job of advising us from the start on the best ways to maximize our fun during our charter. Can't say enough good things! We had an awesome day on the water visiting stingray city and starfish island! Great customer service and nice being out with "locals" that know the island! Hi Troy, I just wanted to say thanks again to you and your crew for a great time! We normally go on larger tours to stingray city ... but it was so much fun and an almost totally different experience going on a more intimate boat. Hi Troy! We wanted to thank you for an amazing day, fabulous boat ride, and amazing staff! We've travelled a lot, rented many boats, and met many people in the tourist business, and your family-run boating company is the best we've ever encountered! From navigating choppy waters with expertise and skill, to holding my children in the waves so they could kiss stingrays, to allowing all my children to tube, to the hospitality and giant smiles that greeted us, the entire adventure was excellent! We beat the crowds, got to visit secret, local attractions and much more! We will definitely be back! Thank you! Please post this on any website, on any and every website! You are a true gift for families!! This was the best choice we made on our vacation.Everyone had a great time, in large part because the guides were so knowledgeable, wonderful and flexible. This day will be the part of our trip the kids remember in 10 years. We could not have asked for a better trip ... would do it again in a heartbeat. Want to know more about your Crazy Crab adventure? This is the place for answers. We provide snorkel gear including vests and spare towels if needed. We also provide ice, bottled water and juice … and of course, squid to feed the rays. Can we bring our own food and drinks? You are welcome to bring aboard any additional beverages or food as you wish, preferably in non-glass containers. You are welcome to bring alcohol (preferably in non-glass bottles). And of course we ask that you drink moderately and responsibly to ensure your safety and enjoyment. 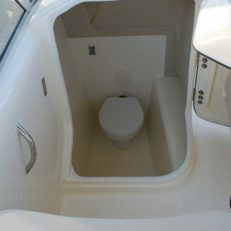 How many guests can the boat accommodate? 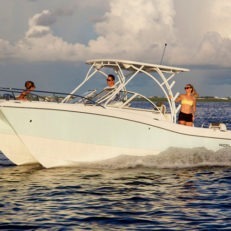 Red Shank, our 29 foot World Cat can accommodate a maximum of 12 adults or 14 guests. 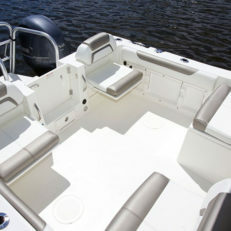 Sea Bug, our 24 foot Sea Ray can accommodate 8 adult guests. 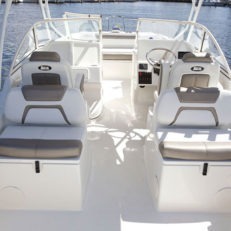 Hubba Hubba, our 34 foot Sea Ray can accommodate 10 adult guests. 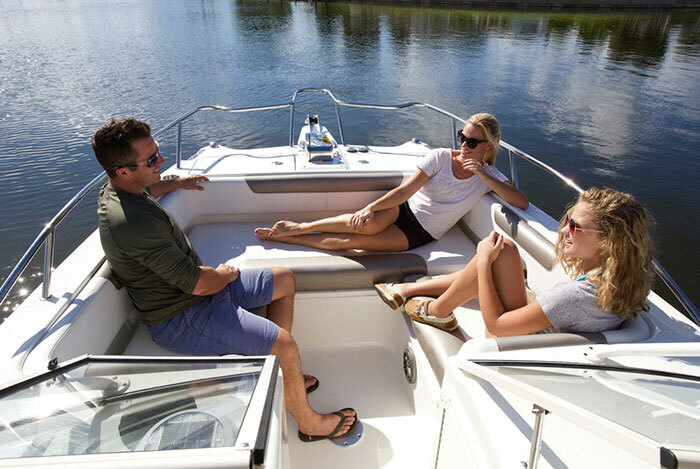 Do you offer bareboat rentals? No, we only provide crewed charters.